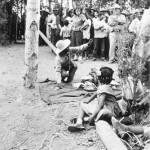 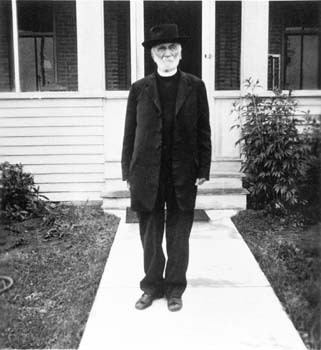 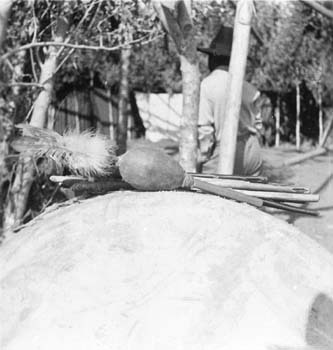 The photographs in this collection are used with the permission of Dr.Ake Hultkrantz, retired professor of religion at the University of Stockholm, Sweden. 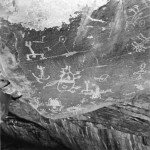 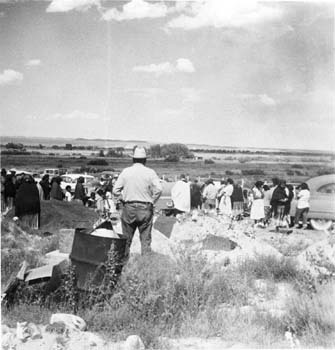 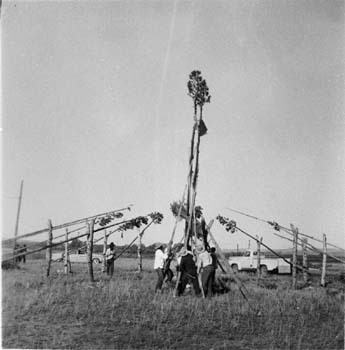 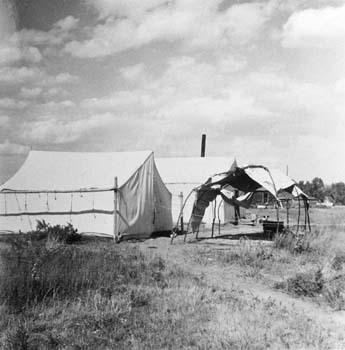 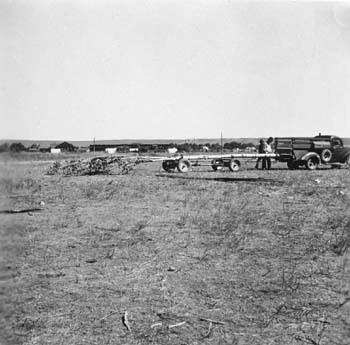 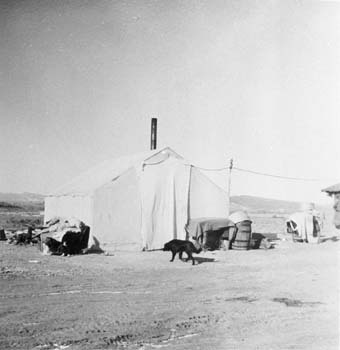 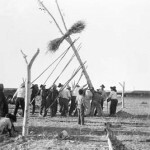 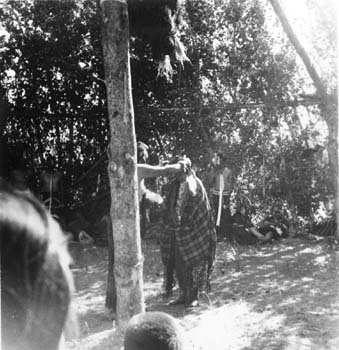 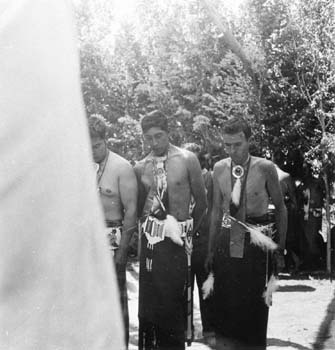 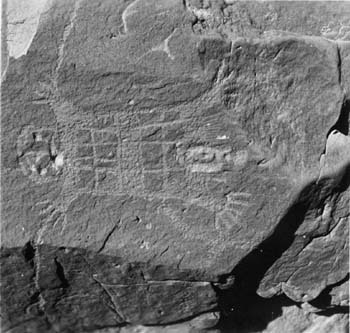 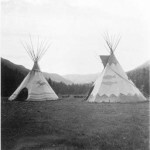 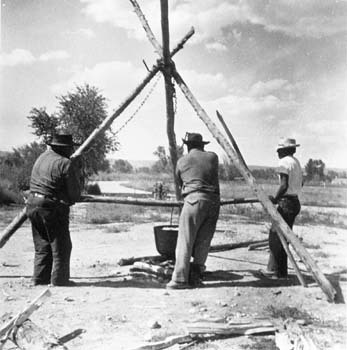 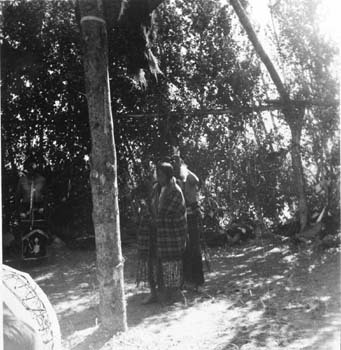 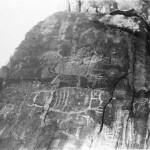 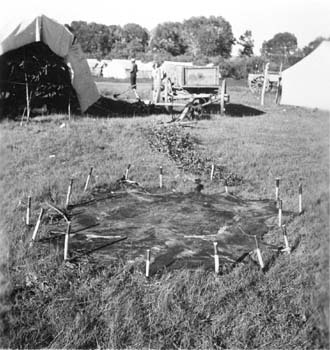 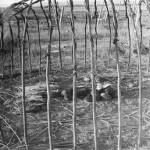 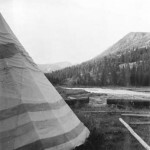 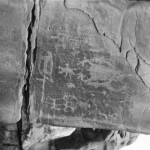 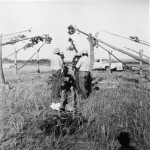 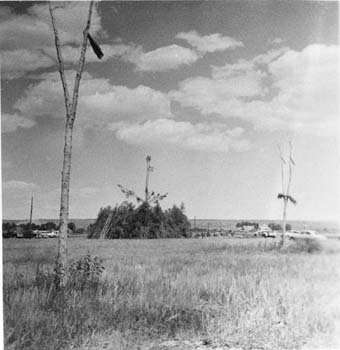 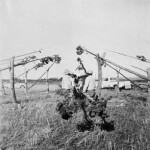 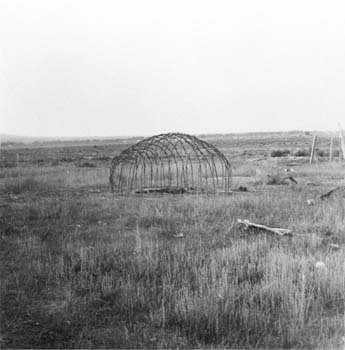 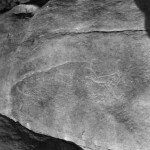 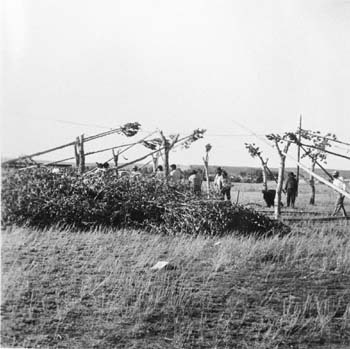 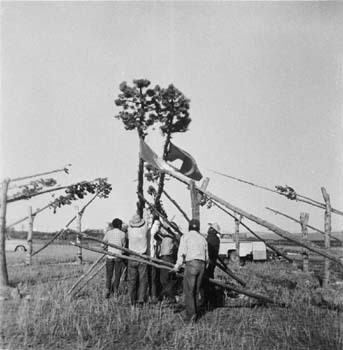 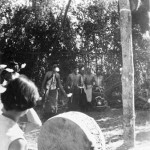 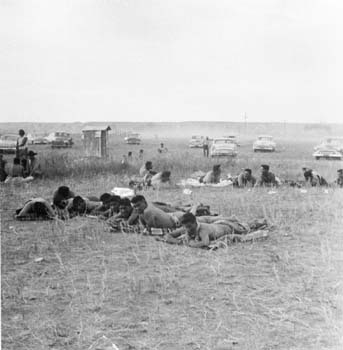 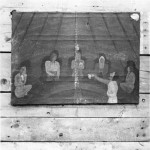 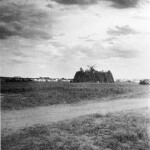 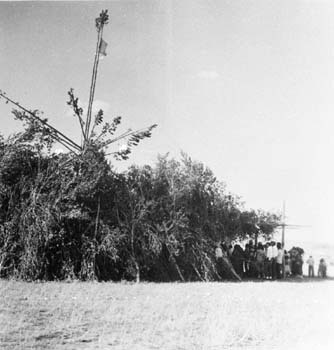 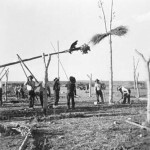 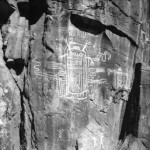 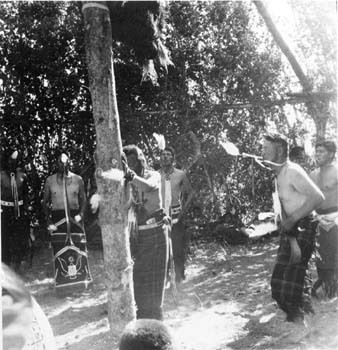 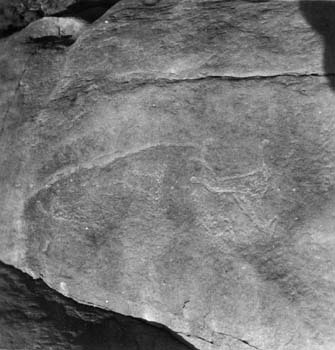 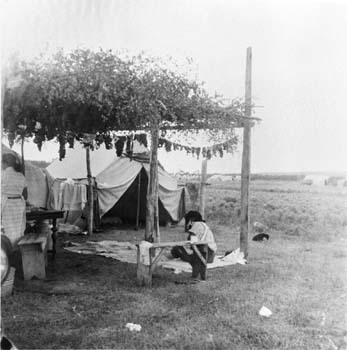 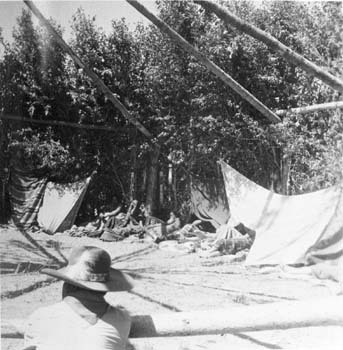 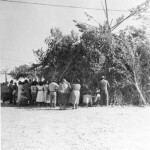 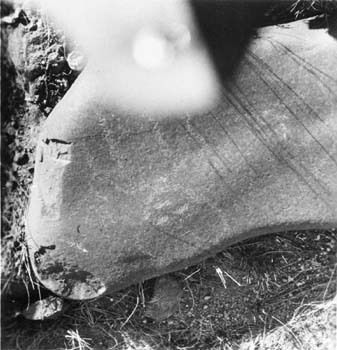 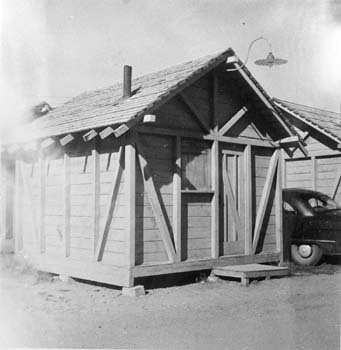 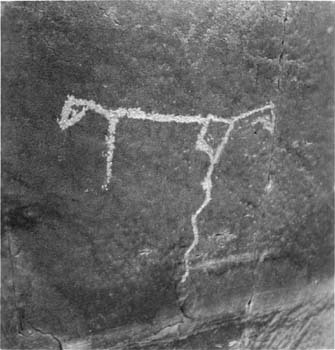 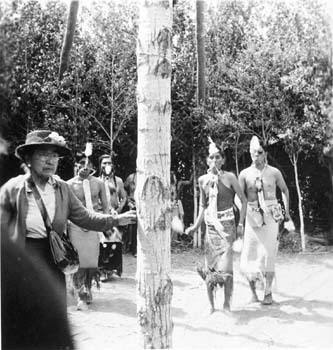 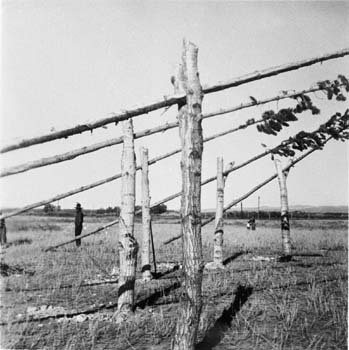 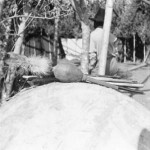 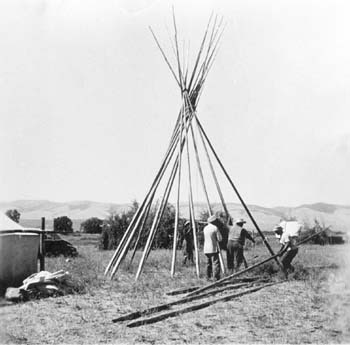 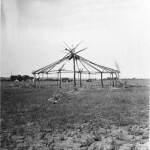 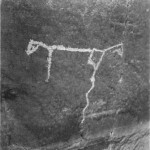 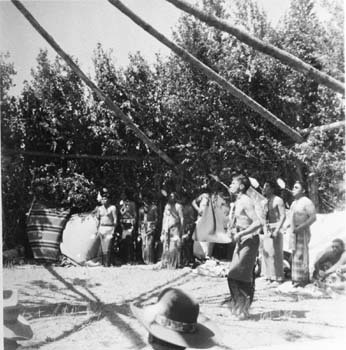 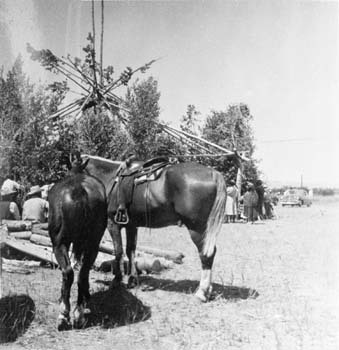 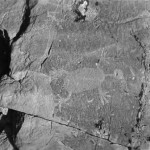 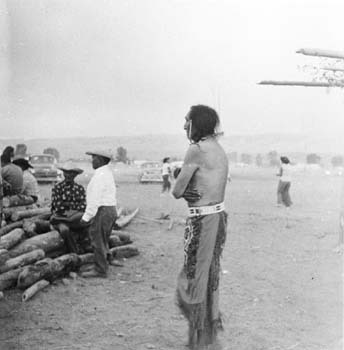 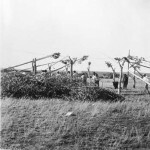 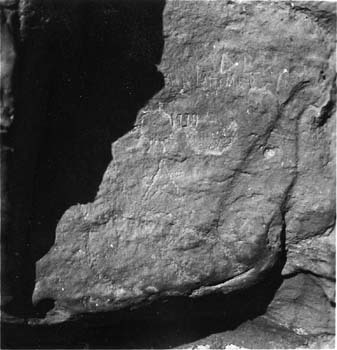 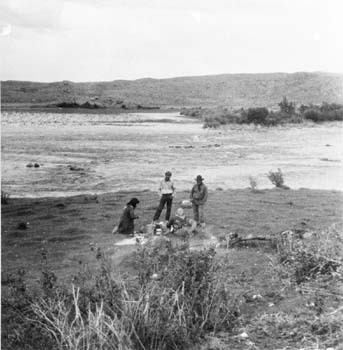 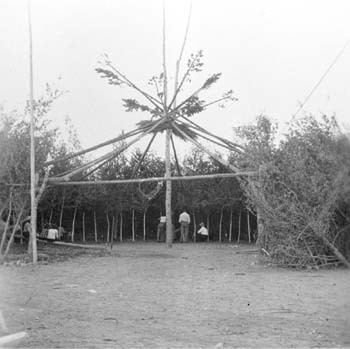 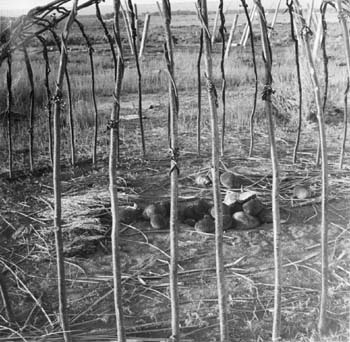 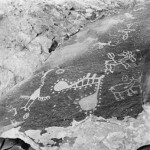 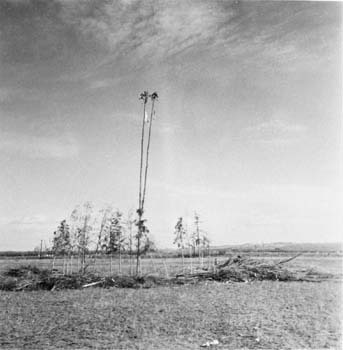 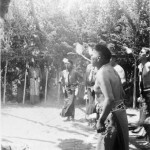 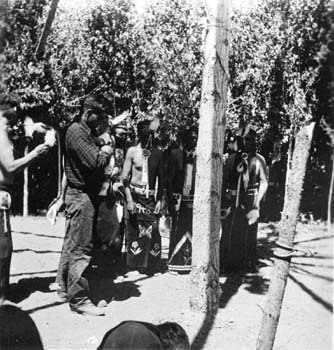 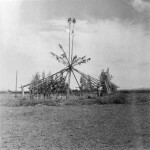 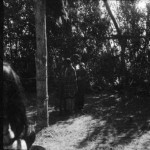 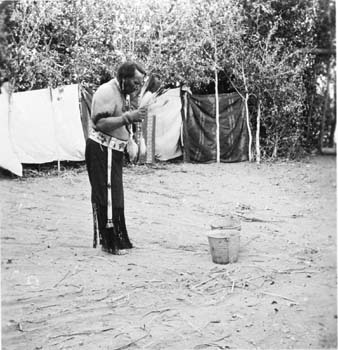 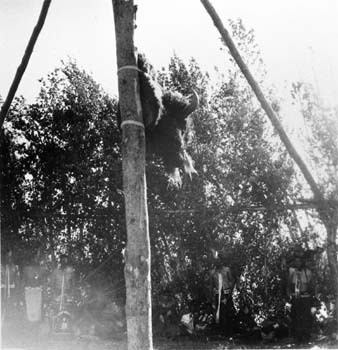 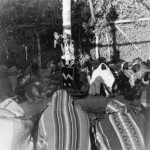 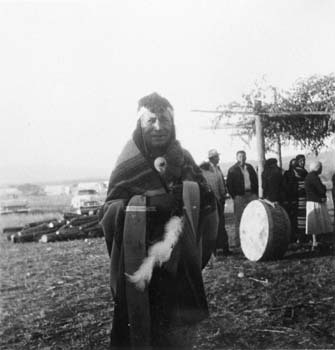 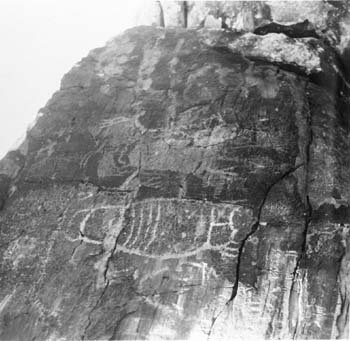 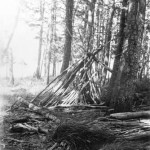 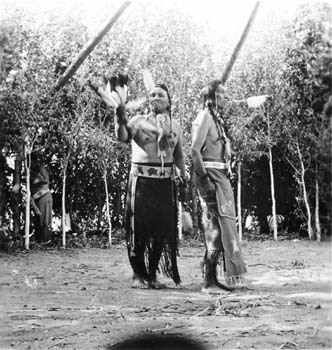 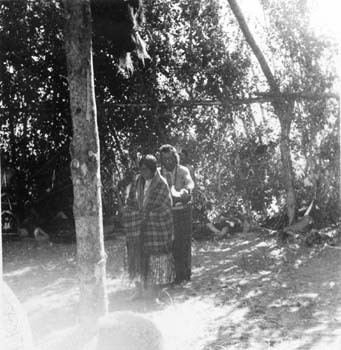 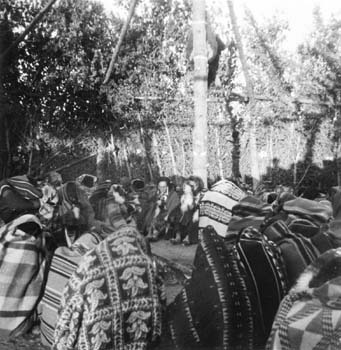 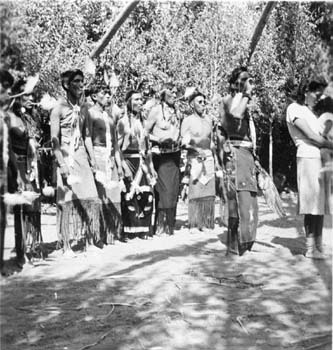 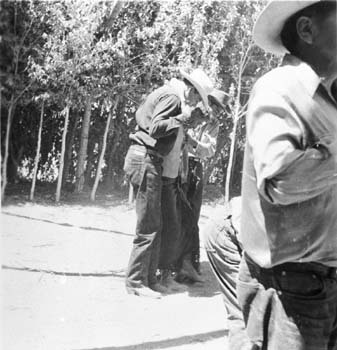 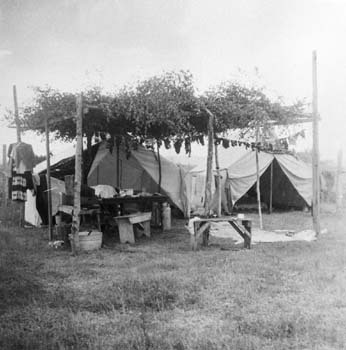 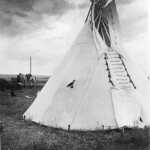 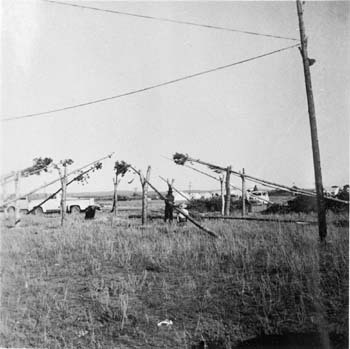 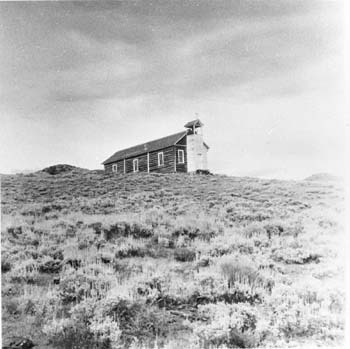 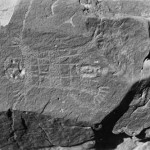 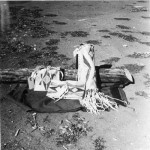 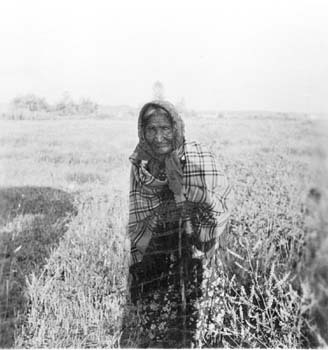 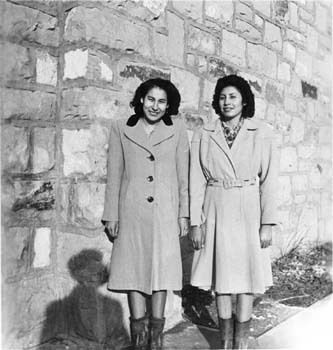 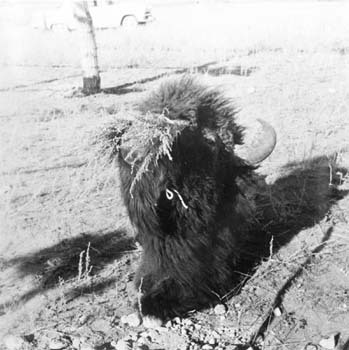 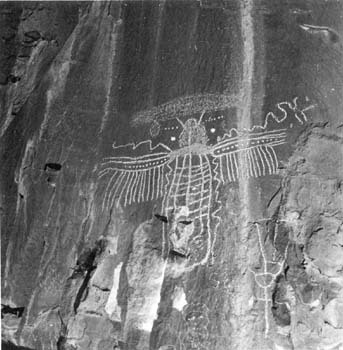 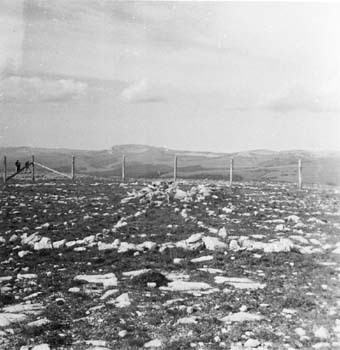 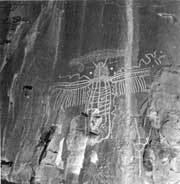 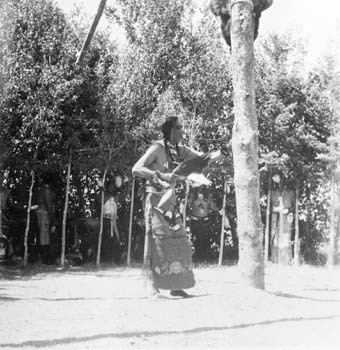 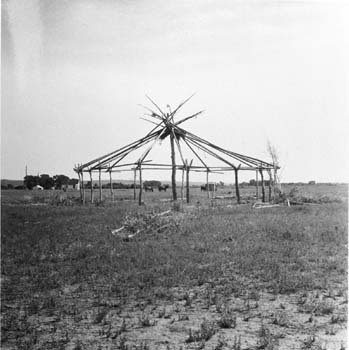 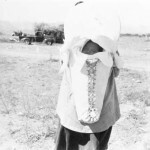 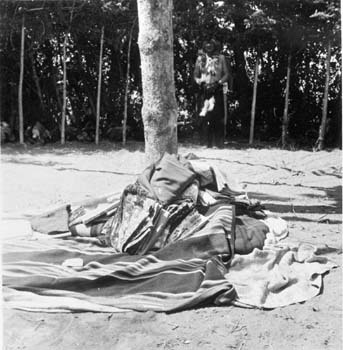 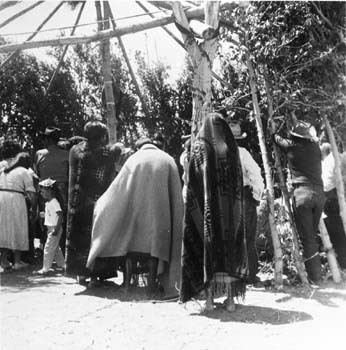 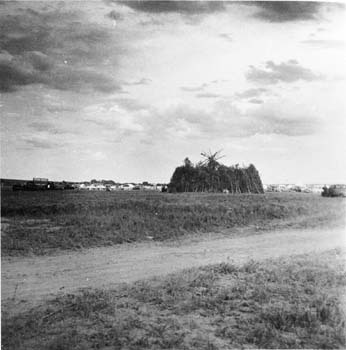 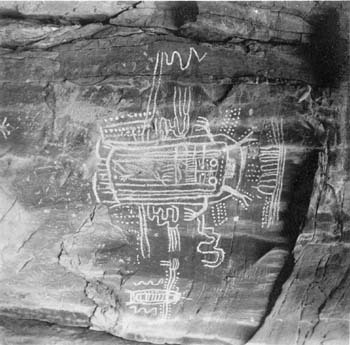 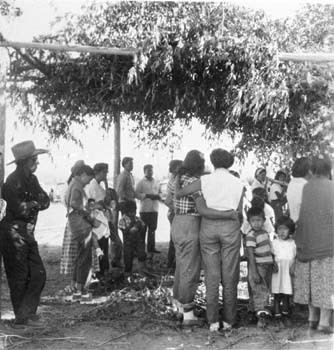 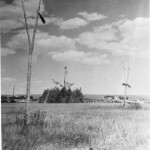 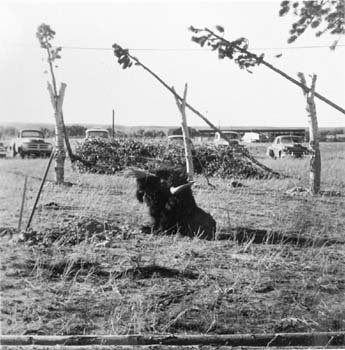 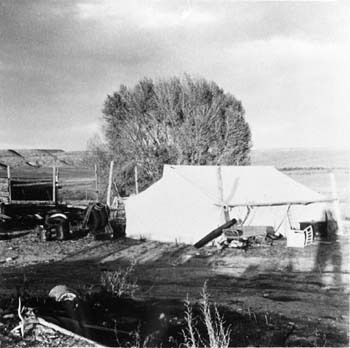 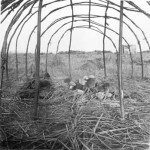 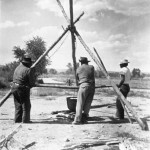 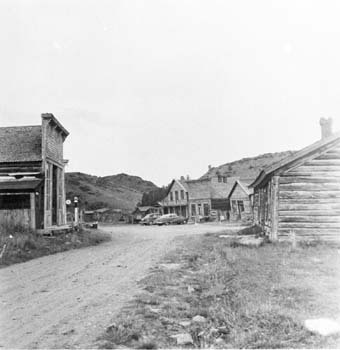 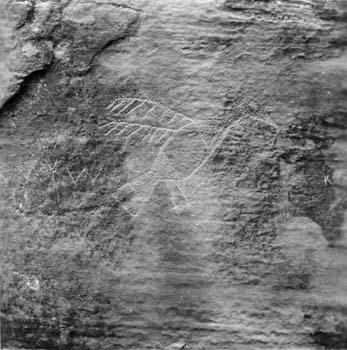 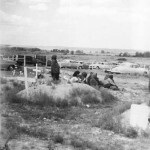 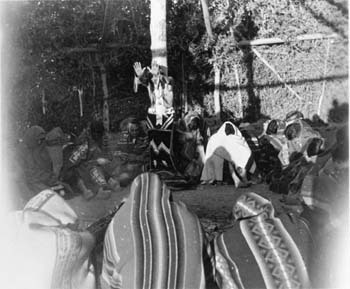 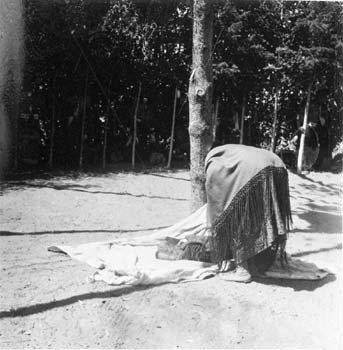 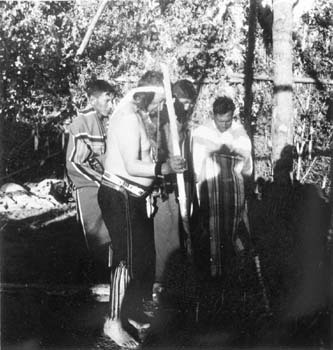 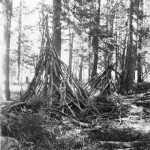 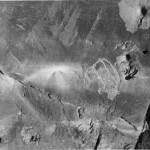 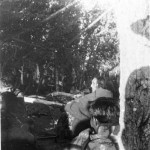 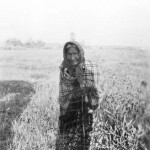 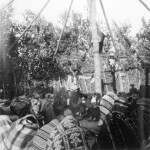 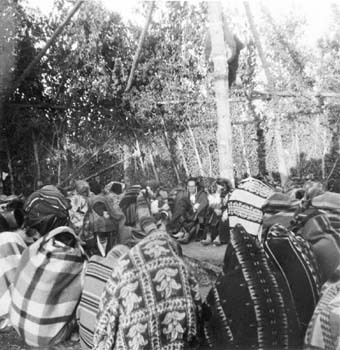 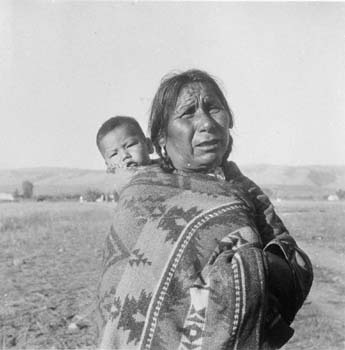 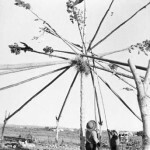 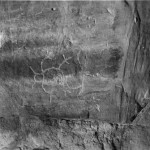 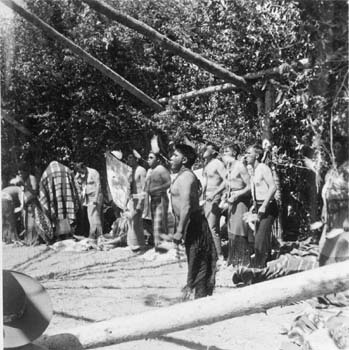 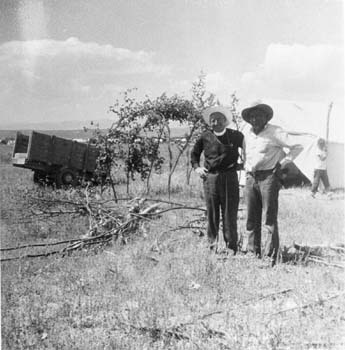 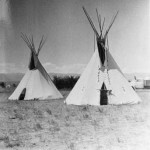 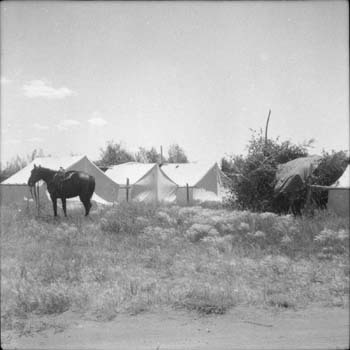 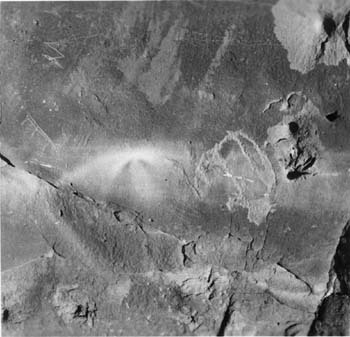 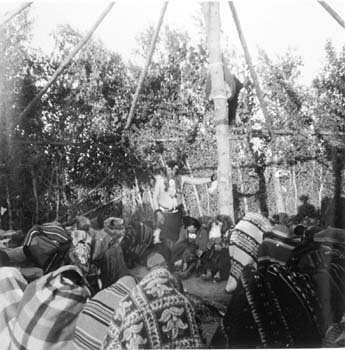 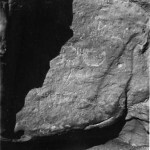 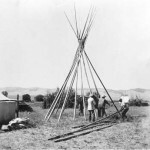 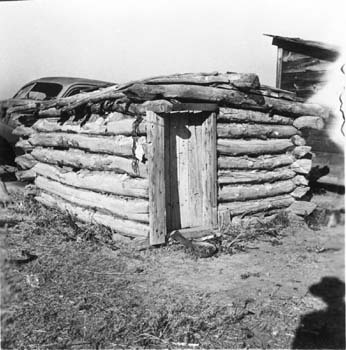 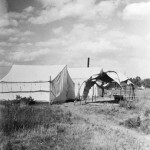 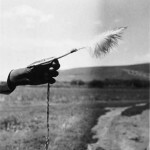 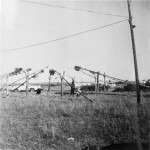 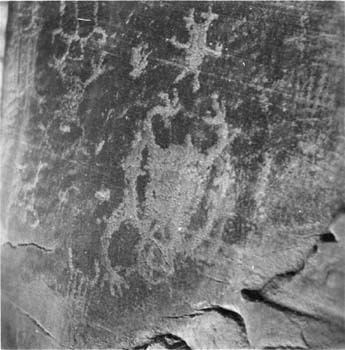 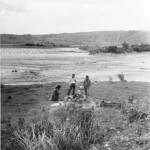 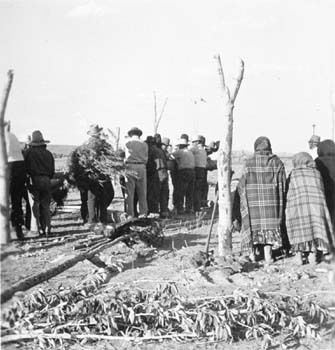 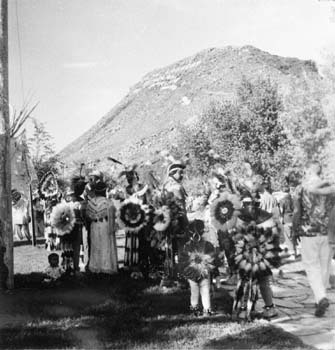 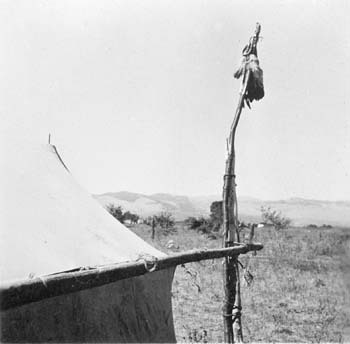 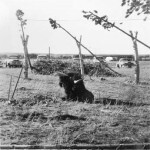 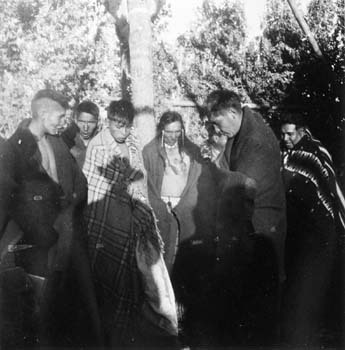 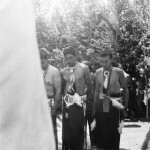 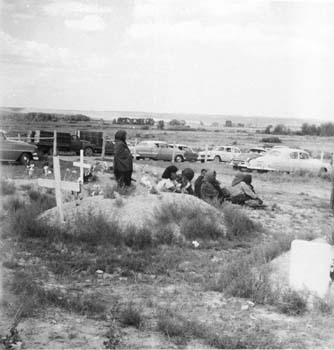 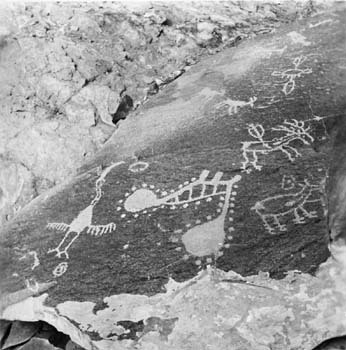 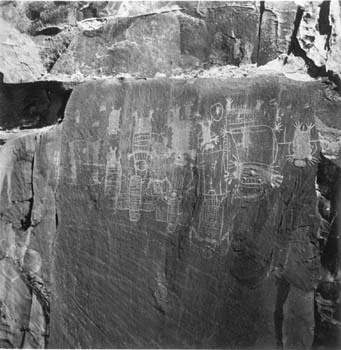 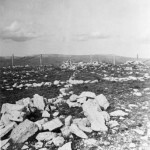 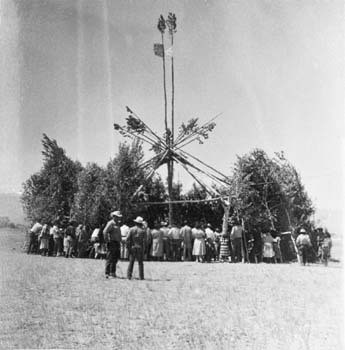 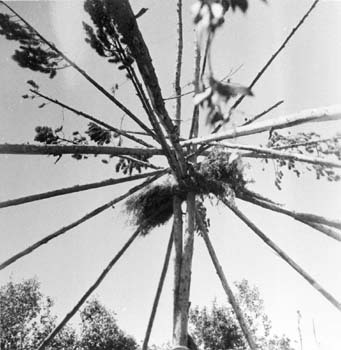 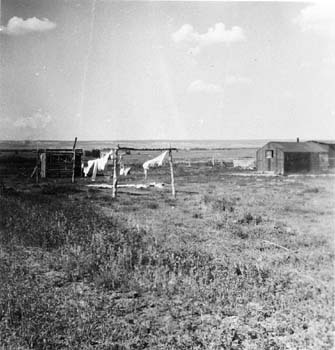 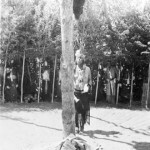 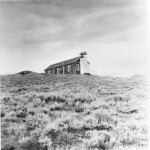 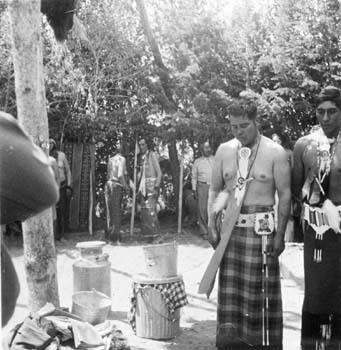 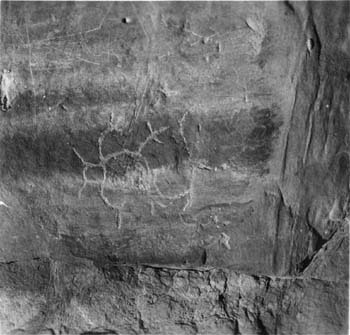 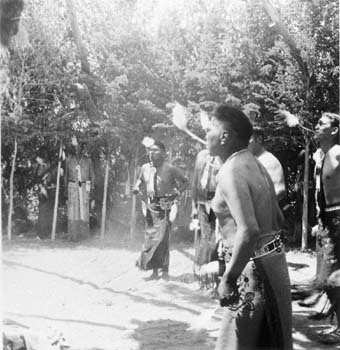 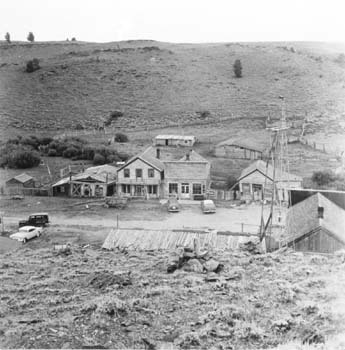 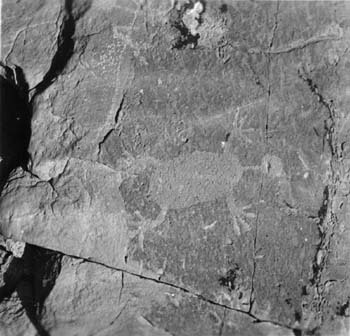 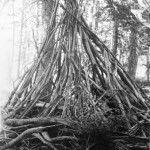 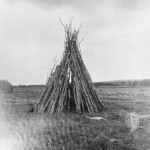 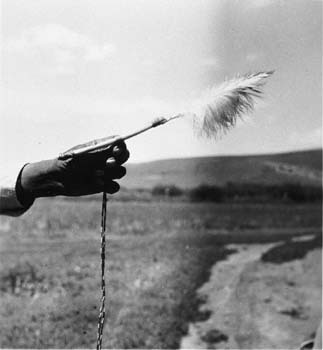 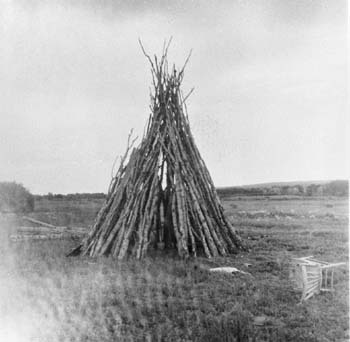 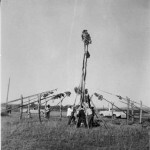 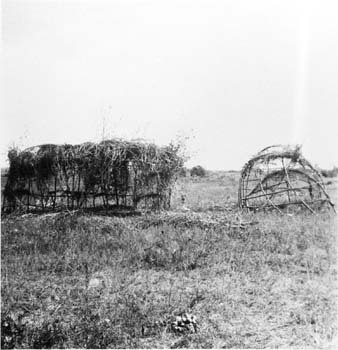 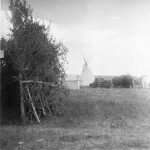 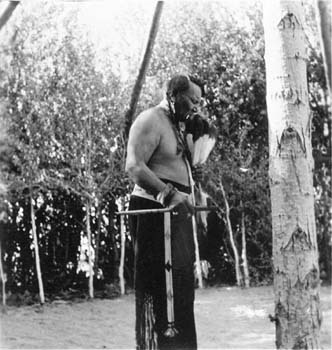 Taken by Prof. Hultkrantz during the years he conducted field work on the Wind River Indian Reservation in Wyoming, between in 1948 and 1958, they reflect his early and enduring interest in Native American religion. 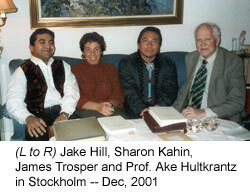 Today, Prof. Hultkrantz is recognized as a world authority on Native American religions and shamanism. 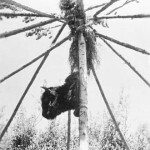 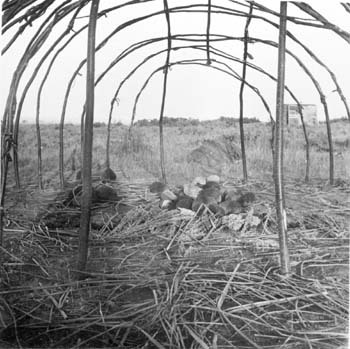 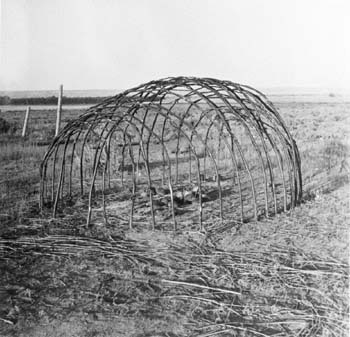 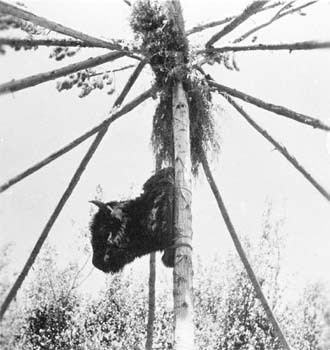 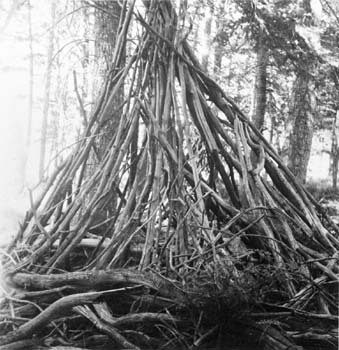 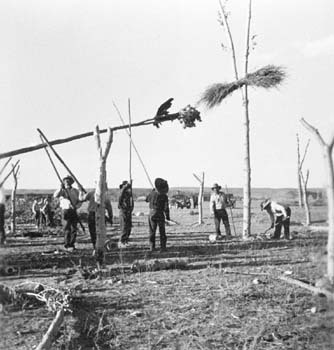 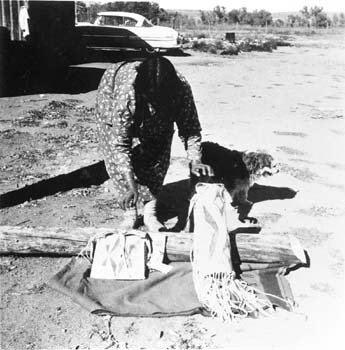 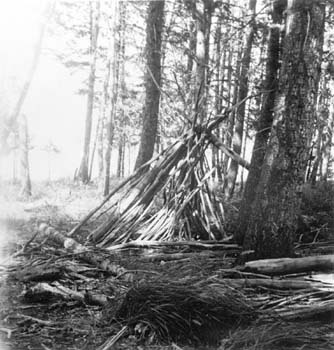 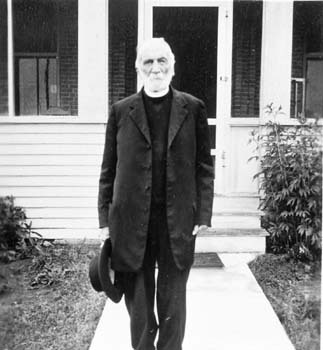 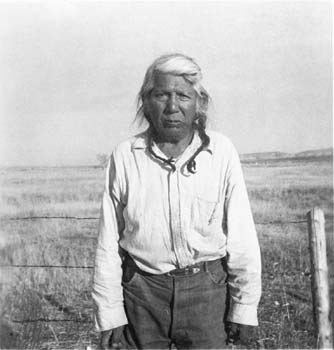 Hultrkrantz’s work at Wind River resulted in his seminal book, Native American Religions of North America: The Power of Visions and Fertility, first published in 1987 by Harper Collins. 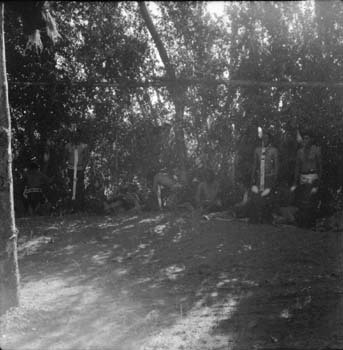 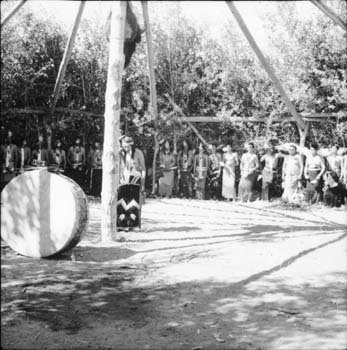 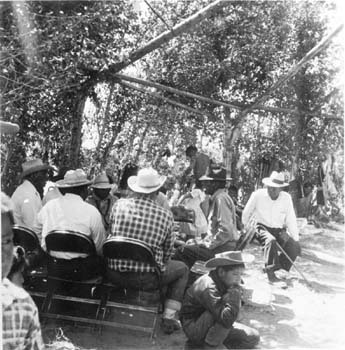 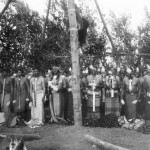 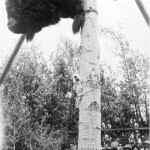 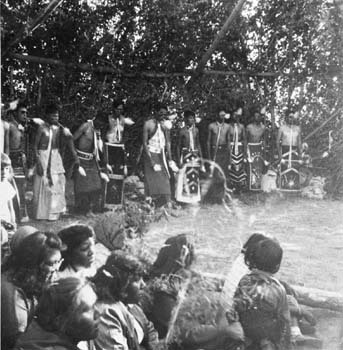 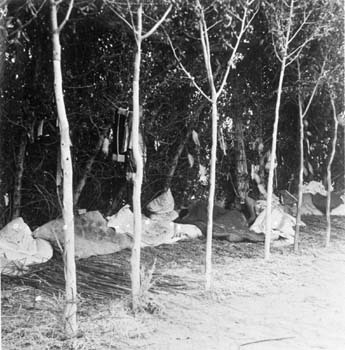 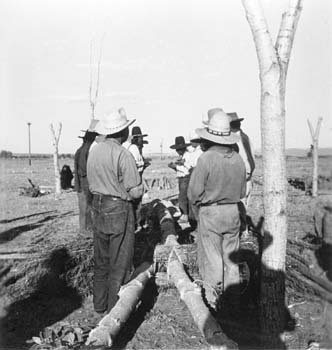 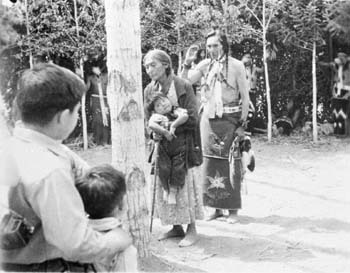 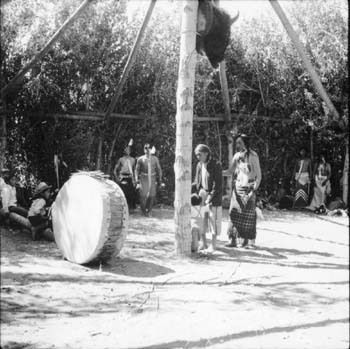 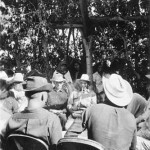 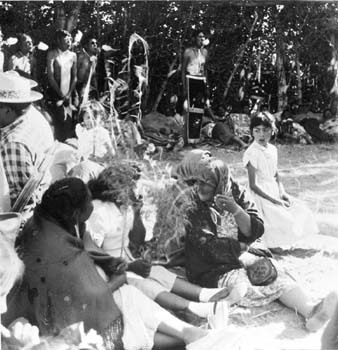 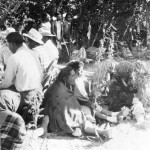 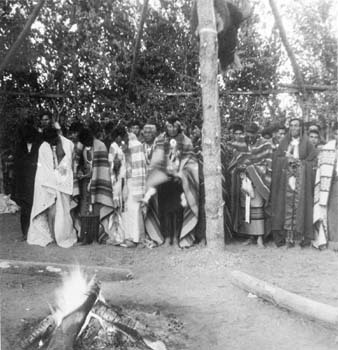 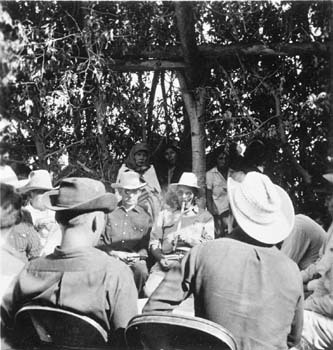 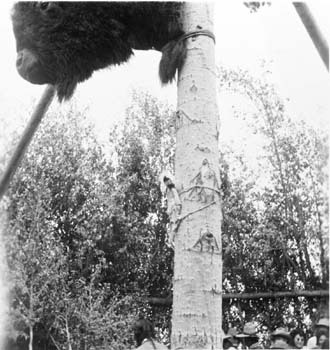 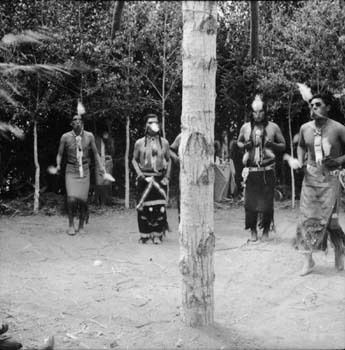 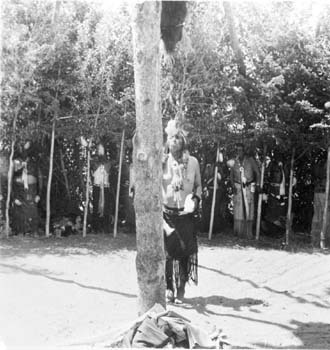 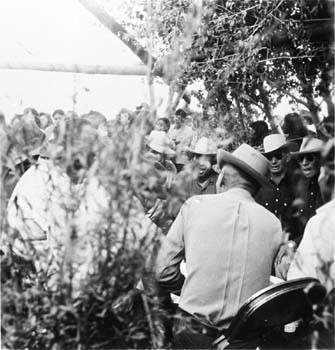 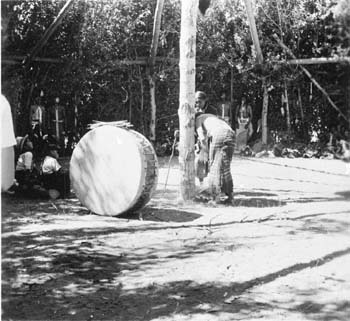 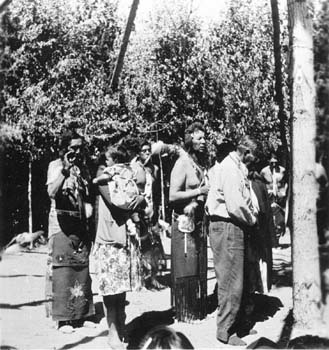 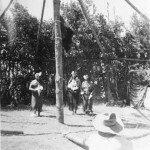 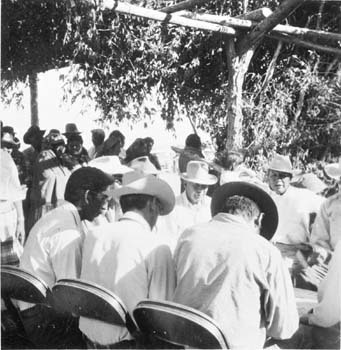 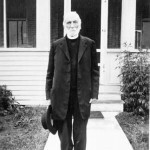 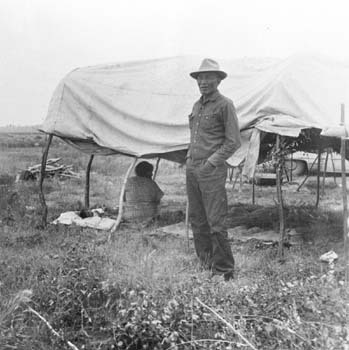 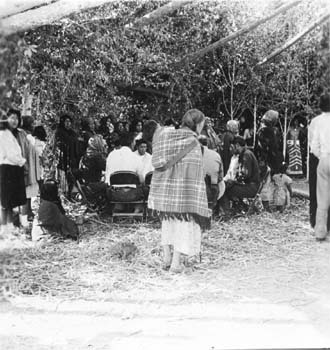 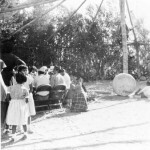 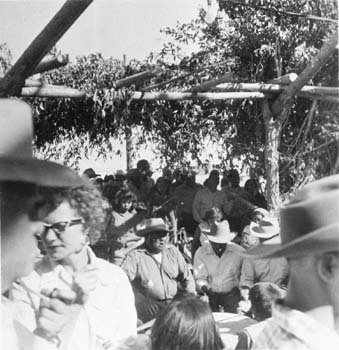 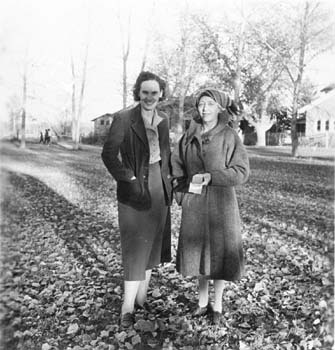 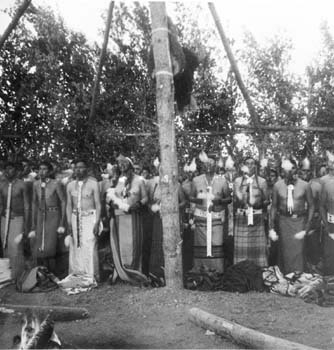 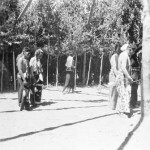 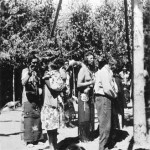 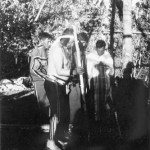 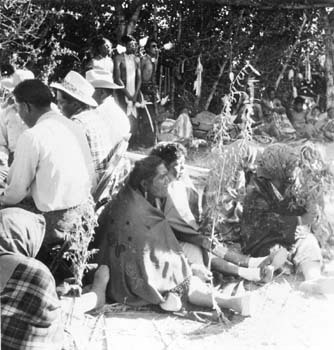 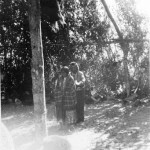 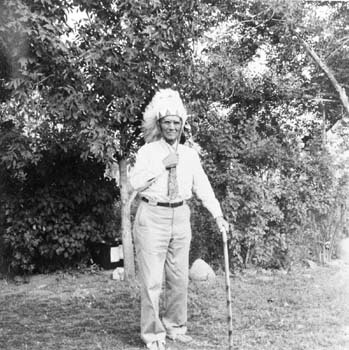 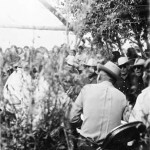 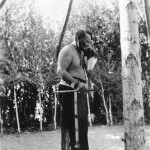 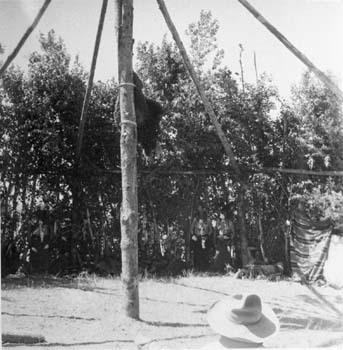 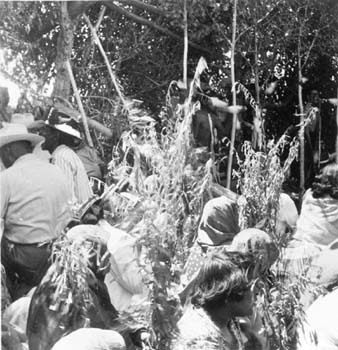 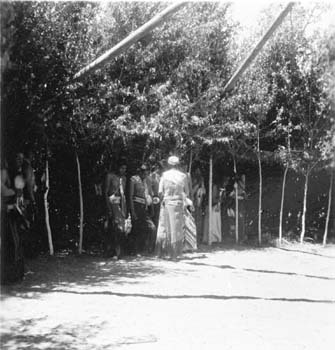 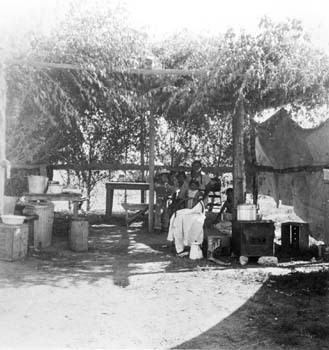 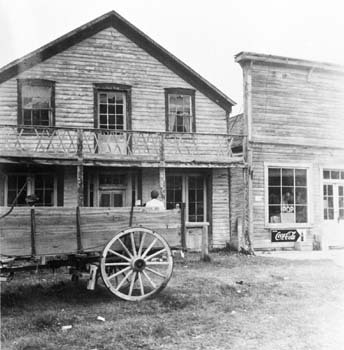 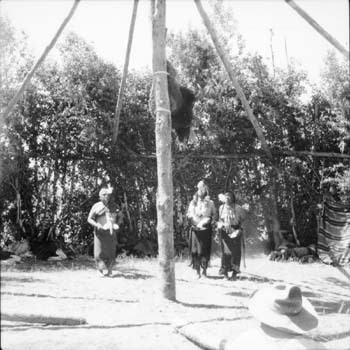 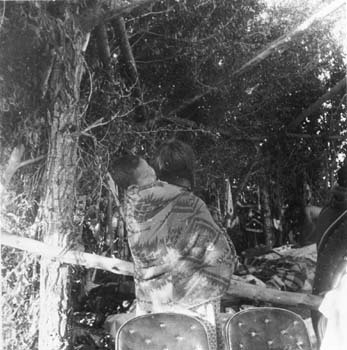 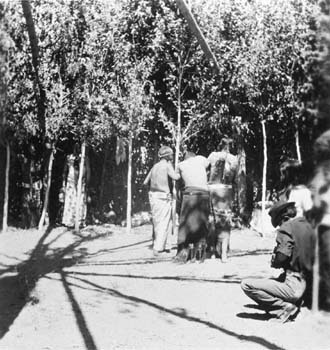 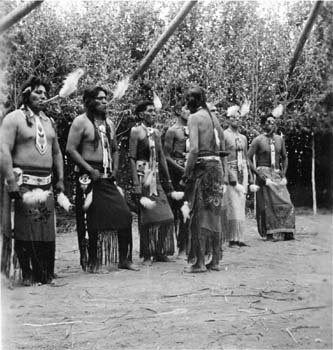 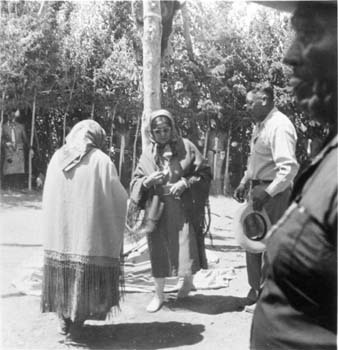 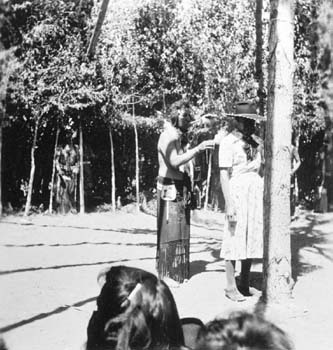 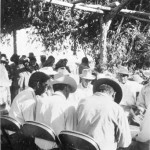 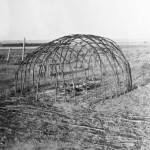 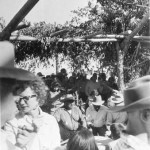 Many of the photos reflect the close relationship Hultkrantz had with such well known Shoshone spiritual leaders as Tudy Roberts, Cyrus Shongutsi and Morgan Moon. 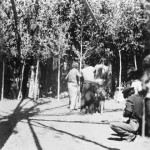 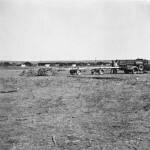 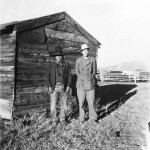 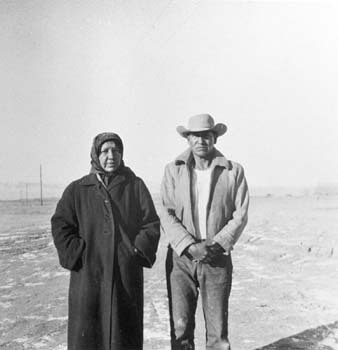 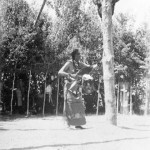 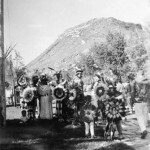 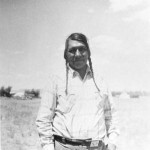 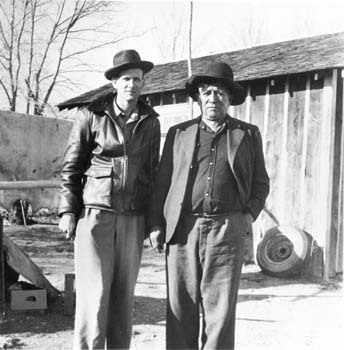 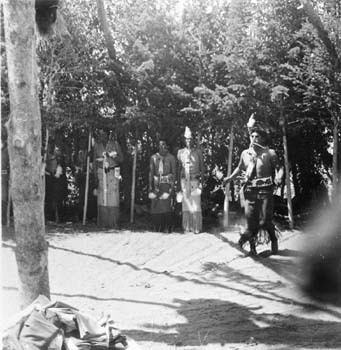 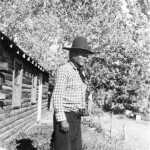 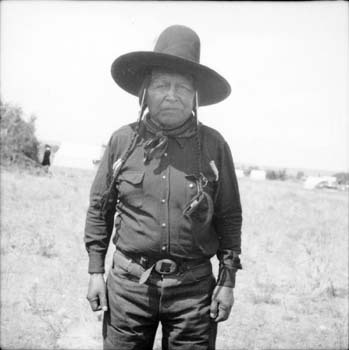 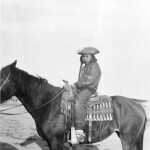 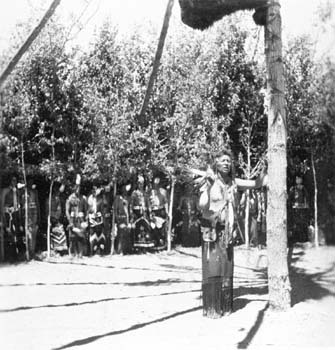 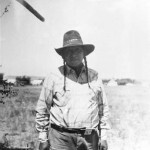 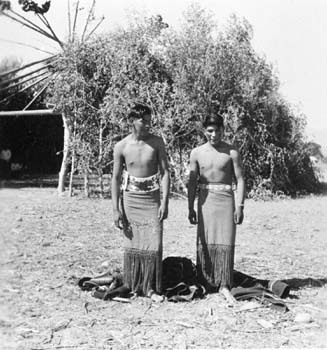 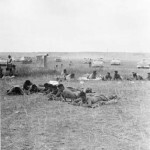 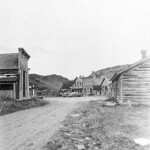 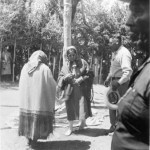 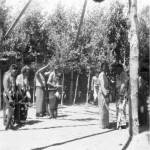 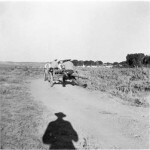 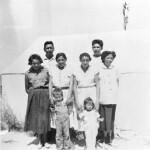 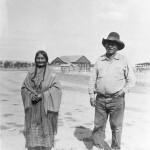 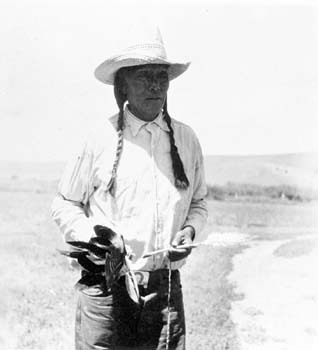 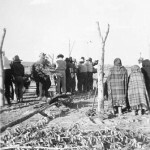 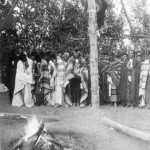 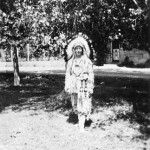 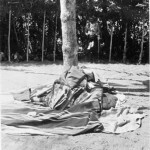 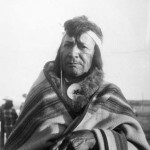 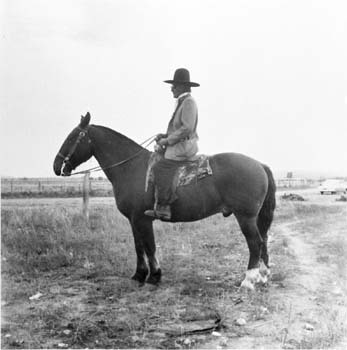 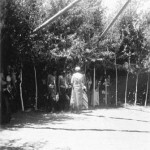 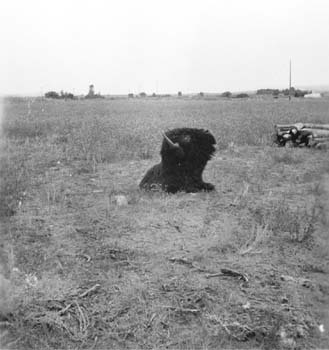 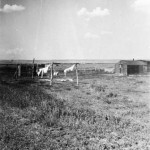 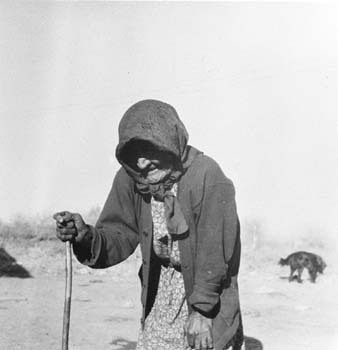 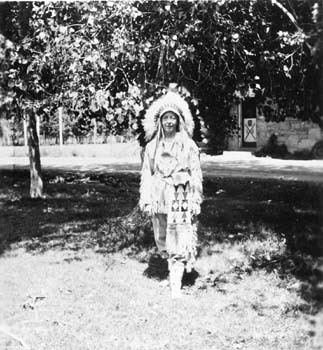 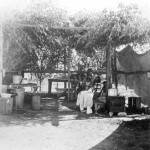 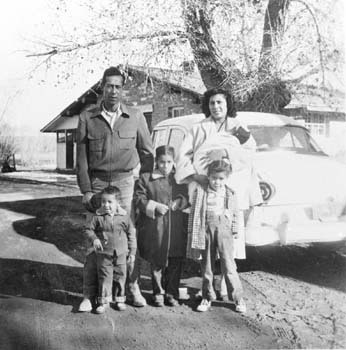 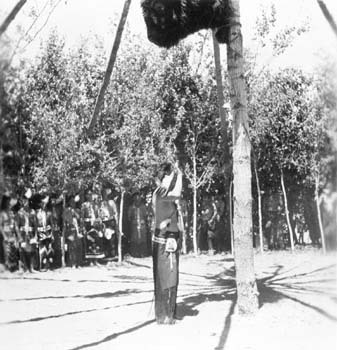 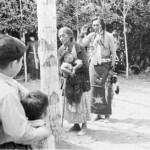 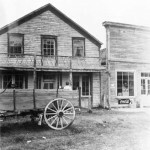 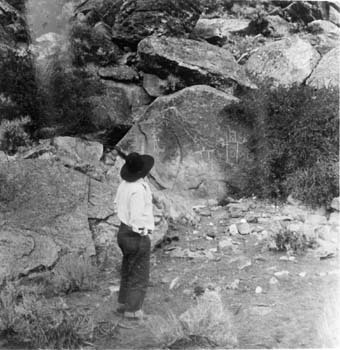 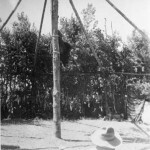 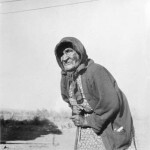 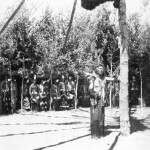 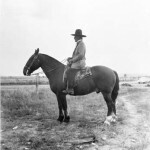 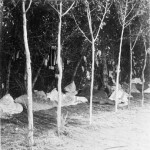 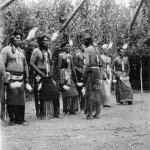 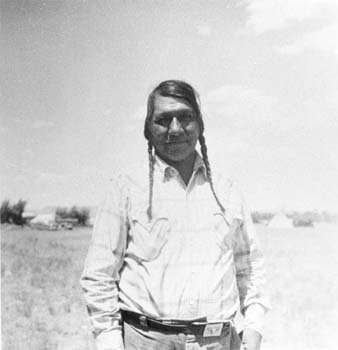 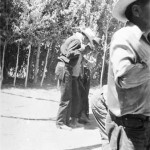 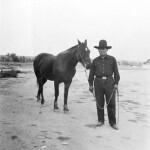 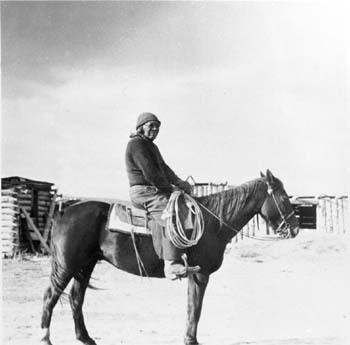 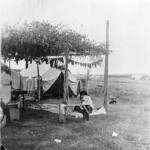 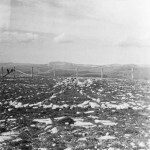 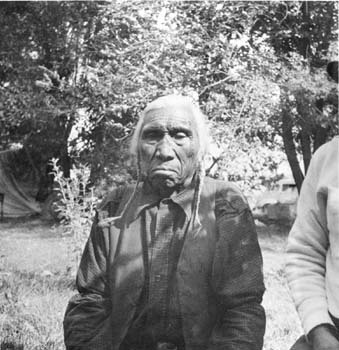 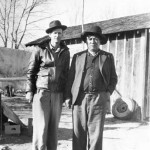 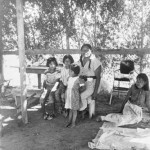 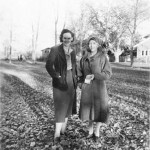 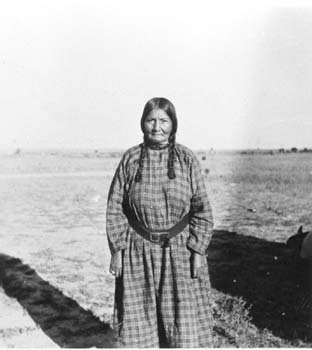 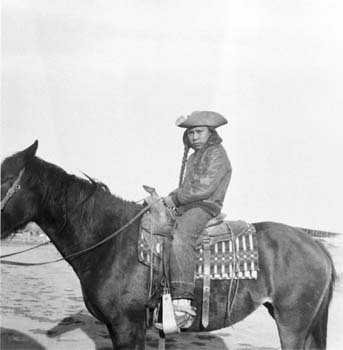 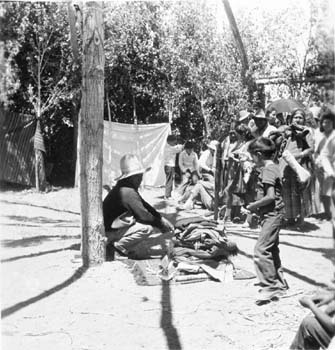 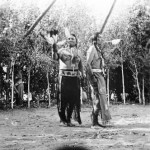 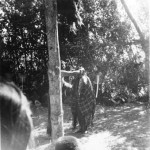 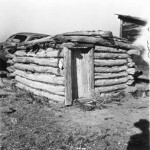 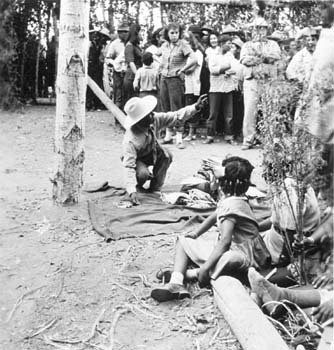 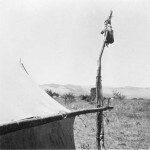 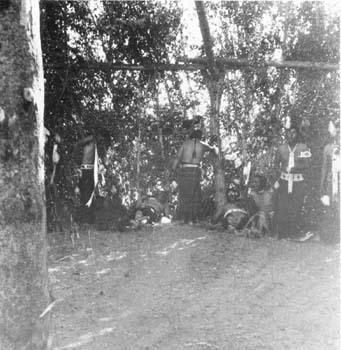 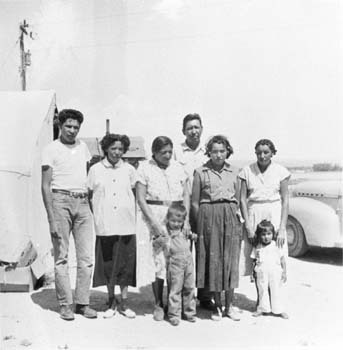 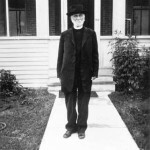 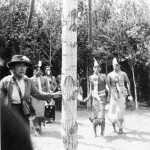 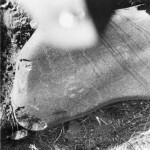 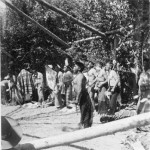 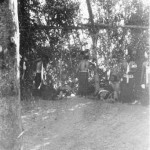 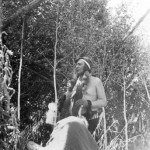 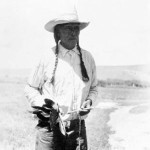 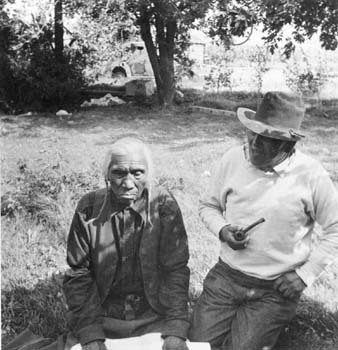 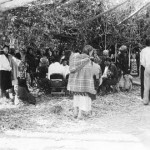 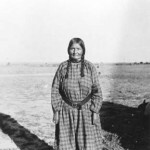 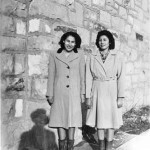 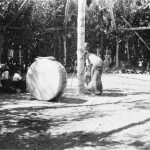 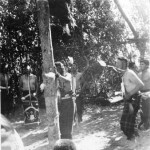 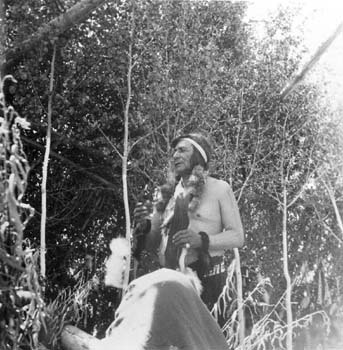 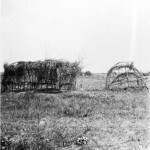 It was, however, the famous Shoshone Sun Dance leader John Trehero who befriended and eventually adopted him as a son..